Mike Pearson passed his driving test on the first attempt today September 28th 2018. Mike from from Llanrhos, Deganwy passed after a course of driving lessons around Deganwy, Llandudno and Bangor with Naz. 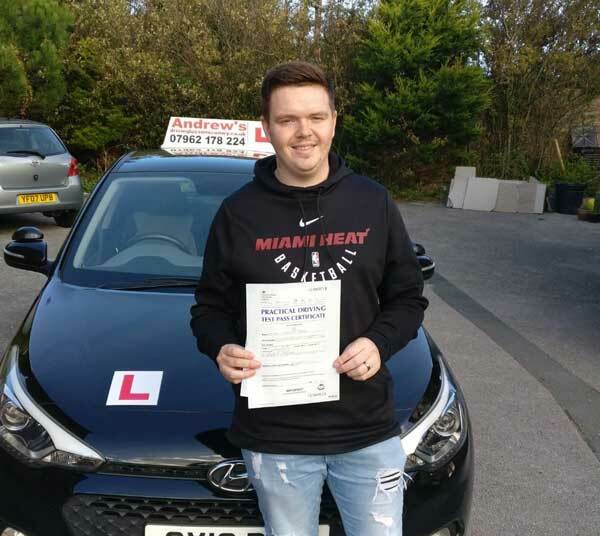 If you want to pass your driving test first time book a course of driving lessons with Andrew’s Driving School. Call us now and book your space.